Chicken Wontons - The best and easiest fried chicken wontons ever! Takes 20 mins to make including wrapping. 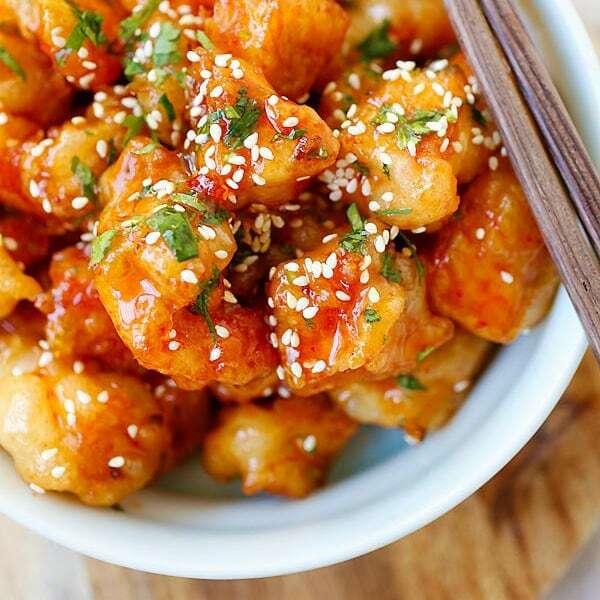 Super crispy and yummy recipe to make at home. 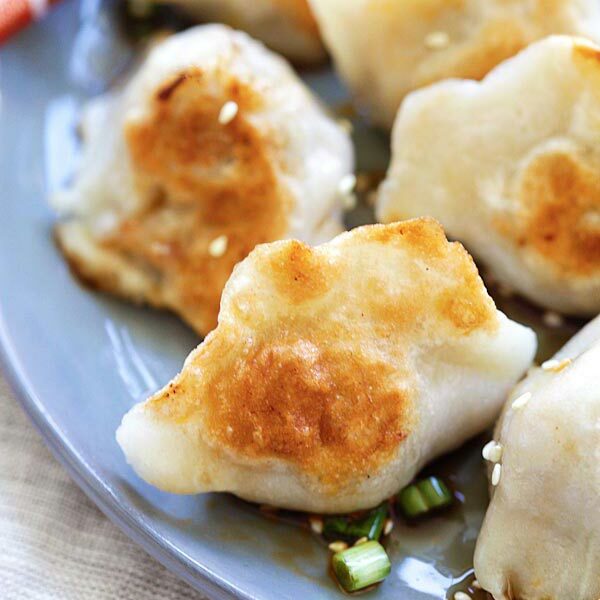 Wontons are little morsels of ground meat wrapped in a wheat-based wrapper. 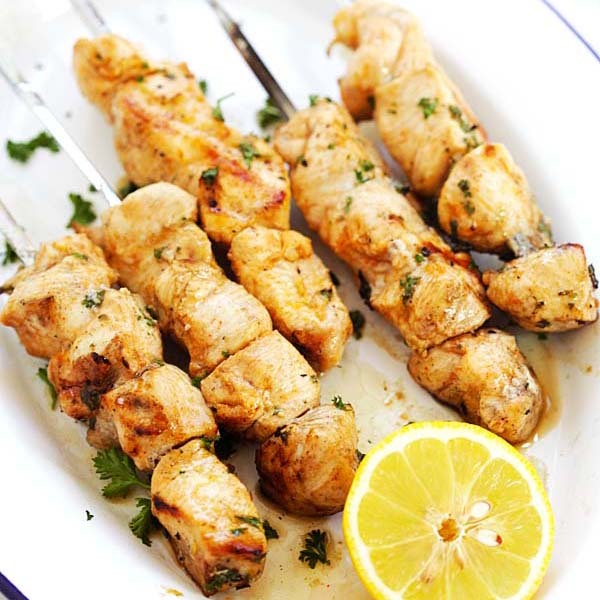 They are always dainty, appetizing, and the most amazing food ever! 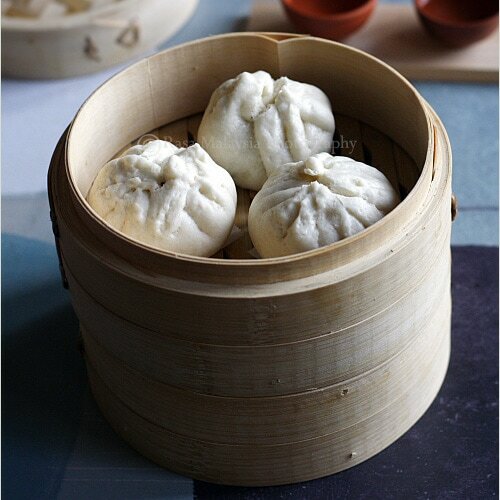 Wontons can be made into wonton soup, steamed shrimp wonton, Sichuan spicy red oil wonton, or fried wonton. 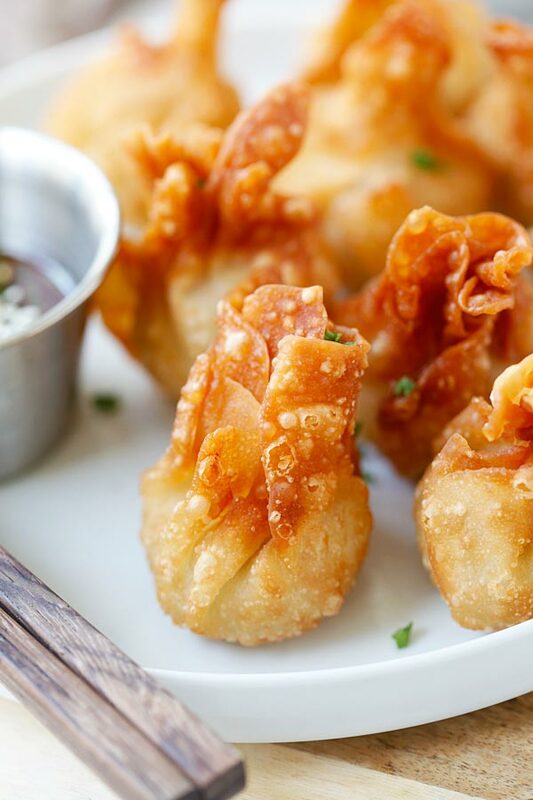 What Can You Fill Wontons With? There are endless possibilities with the filling—ground pork (most common), chicken, turkey, vegetables, shrimp, seafood, or combinations. 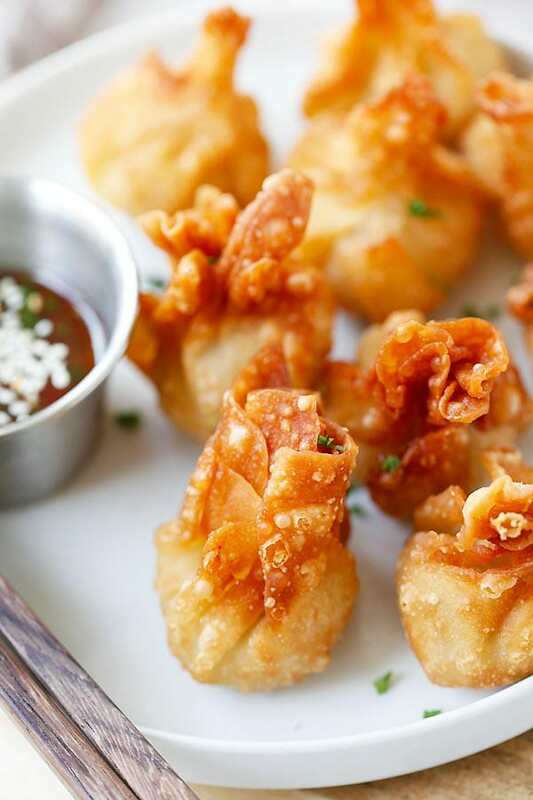 These chicken wontons are filled with ground chicken, shrimp, and then deep-fried to golden perfection. Every bite is bursting with flavors. They can be eaten alone or with some dipping sauce. What Do You Eat Wontons With? 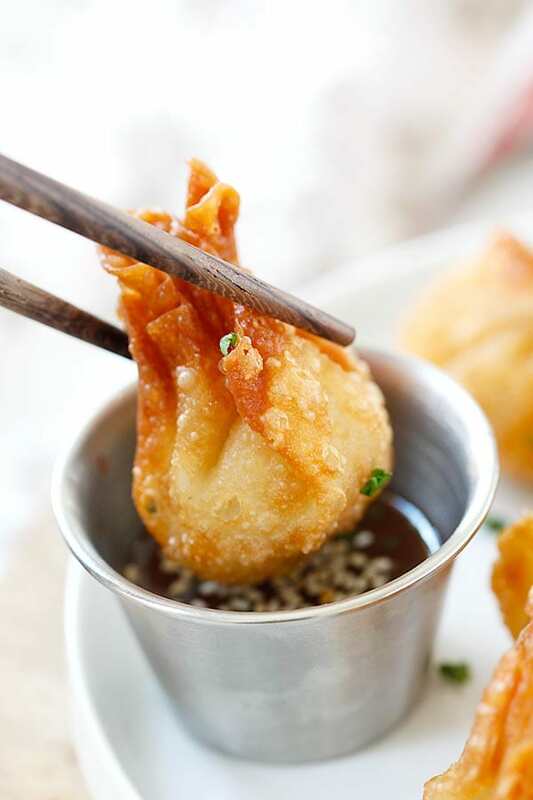 Wontons are commonly served with plum sauce, duck sauce, or a sweet and sour sauce. For this recipe, I serve it with Thai sweet chili sauce, which is perfect for the chicken wontons. Once you eat one you just can’t stop until you finish everything, so double up your portion and make a big batch because they will be gone in no time! 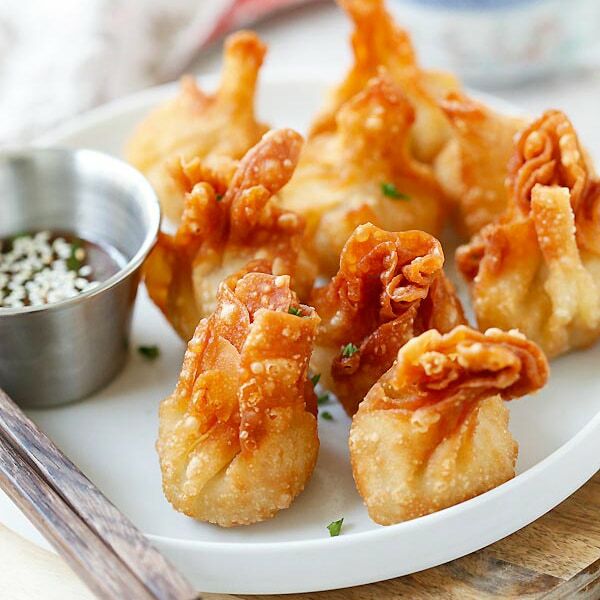 Many people don’t like deep-frying but there is no way to have great wontons if you don’t deep-fry. This chicken wontons recipe is seriously good and so easy and quick to make, a total of 20 minutes including wrapping the wontons. 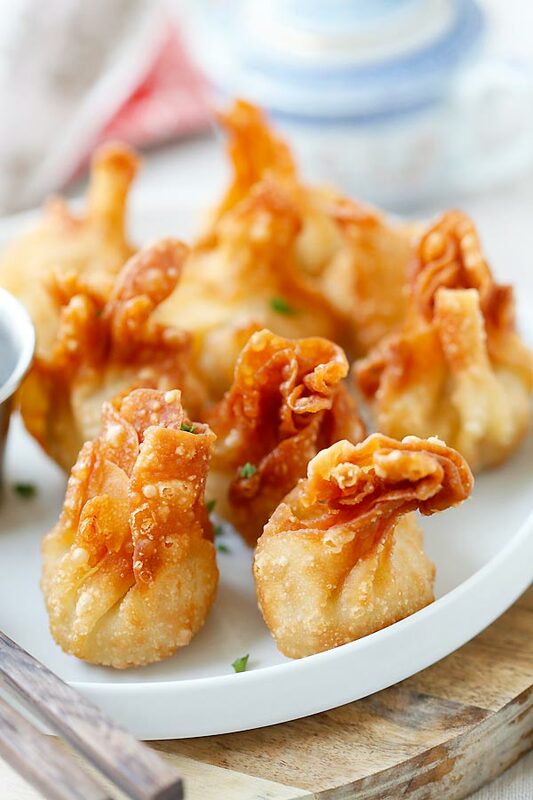 So, fire up your wok, pan, or deep-fryer because everyone is going to love these chicken wontons so much. Chicken wontons – easiest and the best fried chicken wontons ever! Takes 20 mins including wrapping. Super crispy & yummy, get the easy recipe. 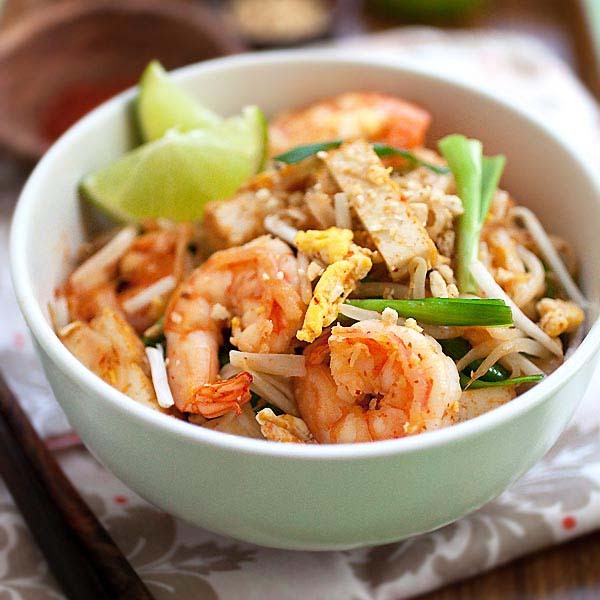 In a bowl, mix the ground chicken, shrimp, scallion and cornstarch until well combined. Add the salt, fish sauce, sesame oil and white pepper. Stir to mix well. Set aside. Wrap the wontons with the wonton wrappers by placing a piece of the wonton wrapper on your palm. Add 1/2 tablespoon of the filling in the middle of the wrapper. Dip your index finger into some water and trace it on the outer edges of the wonton wrapper. Fold and pinch the edges of the wonton wrapper up and seal the wonton tight so there is no opening at the top and the wonton is securely enclosed. Watch the video below to learn how to wrap wontons. 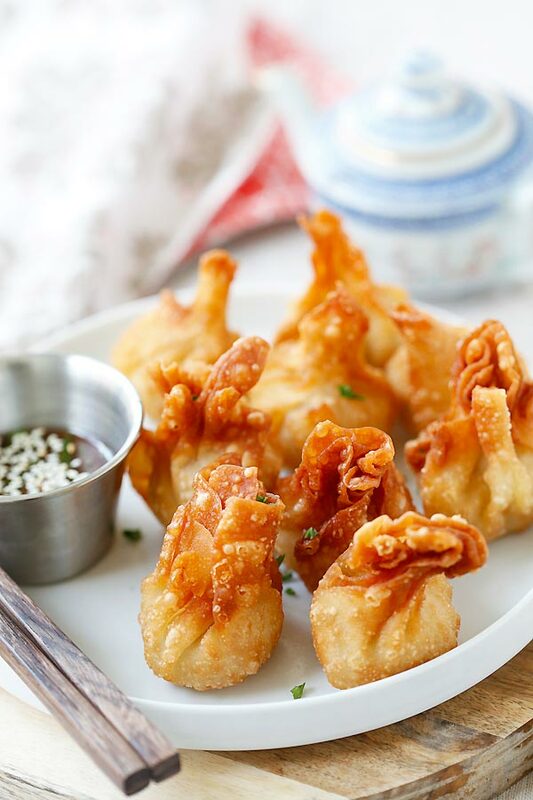 Heat up some cooking oil in a wok or frying pan and deep fry the wontons until golden brown. 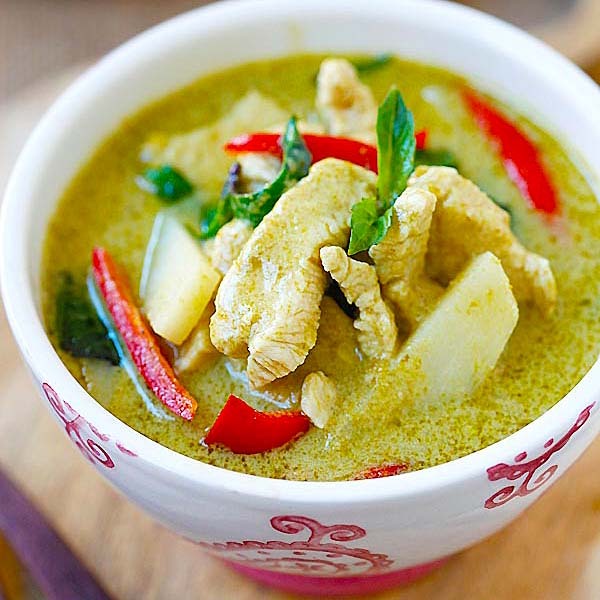 Serve hot with sweet chili sauce or eat plain. Hi Brian, awesome, chicken wontons are soooo good! may I take ur picture.for my private note recepie? Hi Bee, it looks delicious. 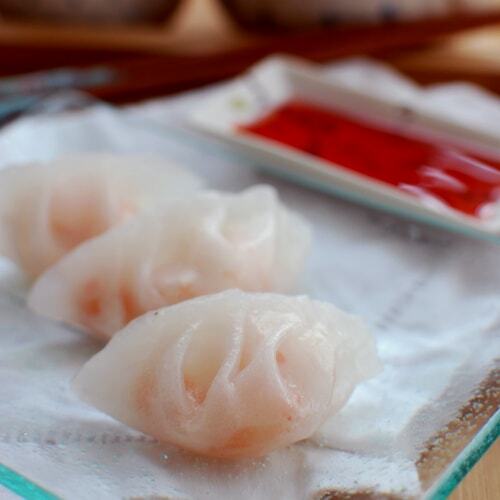 However, would you mind writing a post showing step-by-step how to fold the wontons? They are so cute, but I’m a little lost as to how you folded and pinched the wonton wrappers till they look like cute little bags Thank you! To wrap the wonton, as the method indicated, just put the filling in the middle, and then pull the other 4 sides of the wonton wrapper up towards the middle. Pinch and fold and make sure the wontons are closed and sealed tight. To get the look of the picture, just continue to pinch and “tighten” the top part. Just use lesser filling for your chicken wontons next time! Can SMALL salad shrimp be used instead of the large ones that need to be cut up? Also, can I use “thin wontons” instead of regular thick ones? I want to thank you for posting such great recipes and the beautiful photos. I look forward to your posts. I just came across one of your recipes in a magazine :) at the Dr. office. Could you please tell me what kind of dipping sauce you have pictured next to the wontons? It look like it is a thinner consistency and not as thick as a sweet chili sauce? Is it homemade or store bought? Are there any other dipping sauces you recommend besides sweet chili sauce? Thank you. . . I love all the recipes. Thanks Bee. Those little beauties look yummy! Are these wontons freezer friendly? Can I make a bunch and freeze to fry for later? Love your recipes. Thanks. Thanks, I’m going to the store and get everything I need to fix them tonight. I really loved this dish. I will surely try this one out definitely. Thank you chef or author for wonderful dish. This might be a stupid question, but I feel the need to ask. Is the chicken and shrimp in this recipe cooked or raw? Yes, fried will cook everything. I was going to ask the SAME thing – so it’s not stupid!!! Can you give us the recipe for the wheat wanton wrappers, please? Just buy them from the store. Wanton wrappers are not available here. Can I use spring roll pastry instead? Spring roll pastry might be too thin…you can try though. Wonton wrappers are usually in the produce section. Even our tiny tiny town have them in all the stores. I am in Texas, not the wanton capital of the Southwest. Hi! I think the wonton would taste good if cook in boiling broth. 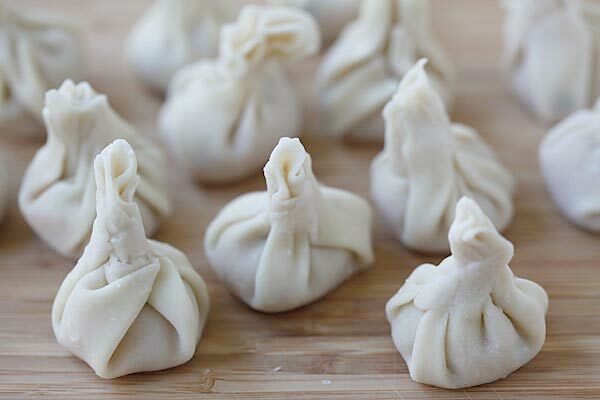 Do you happen to have a post on making wonton wrapper? Hello, Rasa. many thanks for the delicious recipes some of which were easy enough to try. My problem is with wonton wrappers. I would be grateful for a recipe on how to make them as they cannot be found in my country TOGO. Thank you. Could these be Boiled/steamed, as your prawn wantons are? These look delicious and I am planning on making them tonight. My only question is. Do I need to cook the ground chicken before putting in the wrapper and frying. Hi, great site, keep it up. I don’t eat shrimp, what is the best substitute for it in this recipe? I don’t eat all seafood except fish. Hi Bee, thanks for the great recipe! Just wondering approximately HOW MUCH oil I should use if I’d like to deep fry the wontons in a frying pan? Thank you! I am from Malaysia and not Vietnam. Hi! I’m wondering if ground turkey would be a good substitute for the ground chicken. Yes you can freeze and defrost and thaw before deep-frying. Can u put cream cheese in them . Yes, you can, just add some salt in lieu of fish sauce and no shrimp. You need to use ground chicken. What kind of oil do you recommend for frying? Look great, but I can’t eat much fried food. Have you ever tried them in a convection oven? Yes you can freeze them but they are best when fresh and warm. Dishes are always yummy using your clear and easy to follow recipes. My husband loves deep fried food and lobster. I am wondering if you could share your recipe for chinese deep fried wanton. Yes you can. Just not as tasty. What do I do wrong, they’re yummy when cooked, but whenver I try to deep soak them in hot coconut oil they turn out Hard as stone. I don’t understand. What do I do wrong? I tried switching oil to normal oil… I don’t understand, please help! These are delish. Can they be made ahead and reheated after they are fried? If so – what is the best method for this? Refry? Reheat in the oven? Thanks for any shared wisdom! These should not be called chicken wontons when there is shrimp in them. I don’t eat shell fish, but clicked on this recipe with a quickness. That was a disappointment. Can you just use more chicken in place of the shrimp? Is it going to change the texture? You can skip the shrimp. Shrimp makes this so much better. I think so, I am not sure how long because I didn’t try it with an air fryer before. Can these be steamed instead of frying? Im making wontons too and siomai but i steam or have them in soups., havent tried frying them. I’ll definitely make some of these, maybe on my daughter’s birthday and its a few days from now. By the way, i am using your recipe for the banana bread/cake and it taste awesome, so moist and got chunks of banana. More power to you, thank you for the recipes. Thanks for your comment, yes make these chicken wontons. Hi , I want to make these to freeze and fry later is that ok to do? Also wondered if I could use spring roll pastry instead? Yes you can freeze but thaw to room temperature before deep frying. Yeah you can use spring roll pastry if you can’t find wonton wrappers.